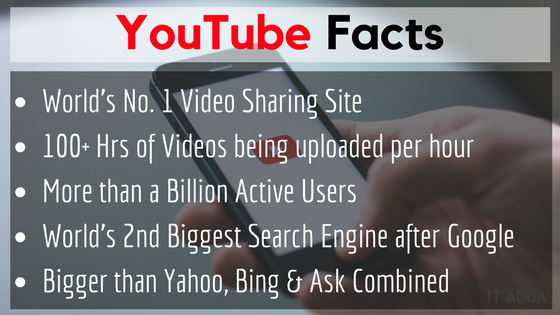 YouTube is the most popular video-sharing website in the world. Every minute more than 100 hours of videos are being uploaded to YouTube. YouTube has over a billion users, which is almost one-third of all the people using the internet. And along with that, it’s the 2nd biggest search engine on the internet after Google. Yes, it’s bigger than Bing, Yahoo and Ask together. But Why I’m telling this?? Well, There is no doubt that YouTube gives you a great opportunity. To share your passion or even make it a career option. But because of that reason, a lot of people are coming to YouTube every day. 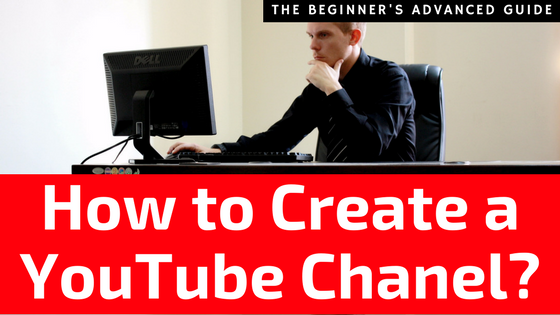 A lot of users are creating their own channel on YouTube and sharing their passion while many of them are earning very well income by monetizing their YouTube videos. And the competition is the way to high. There’s no doubt that you also want to be one of them. You may want to share your passion with the world, or you may want to gain fame, or you may want to make a lot of money from it. It may sound funny but if you are serious about making a good quality youtube channel or I may say, “A Perfect Channel“. Then there is a lot of things to do and to think of. It’s not as easy as people think about it nowadays. That’s why, in this article, I will guide you through the steps to a successful YouTube channel. If you want to see the steps only on how to create a YouTube channel, watch the video below and you’re done. But, if you would like to create a perfect YouTube channel with no mistakes. Then continue reading the whole article. For a successful YouTube channel, this should be your first step. Yes, it is so important that you must consider it first of all the steps ahead. You might get stressed out like the girl above. If you haven’t already decided on your channel type. Or, What would you upload to your YouTube Channel? But it worth it. Talk to yourself and figure out what you would like to do on YouTube. You may want to upload Howto Videos like we do on Our YouTube Channel. Or you might want to upload your cover songs, cooking recipes, life hacks or whatever it is. Try to go with your passion or hobby otherwise, you will give up at the end. It must be something that you’ll love to do again and again. Success on YouTube is a long journey. If you choose something that you don’t love. You might break at some point. Or I should say, You will… break at some point! Said enough, now you know it. Spend some time, find out what to do and proceed to the next step. Have you thought about your channel name? If yes, Well Done! If not, Your expression might have changed like the girl above. It seems an easy step. But trust me, if you are not creative enough it can take a lot of effort. And again it worth it. For a perfect YouTube channel, a perfect name is a must. If it takes a lot of time, don’t worry about it, but don’t choose a name that isn’t good enough. Now you might be thinking, Hey Bishnu, that’s good but How would I know if a name is good enough? Am I still missing something? If yes, don’t forget to tell me in the comments section below so that other future visitors may get benefited from it. Well, this is the final step before your channel goes live on the internet. Apart from making the videos of course! Now you need a logo and channel art for your channel. Should I tell you that it should be attractive and unique? I don’t think so. Everyone knows about it. So go ahead and make a great logo and channel art for your channel. If you are not good enough in design, you should consider someone who can make a great design for you. If someone can create that for free for you, that’s great. If not, consider hiring a professional at your local place or online, on freelancing websites. If you’ll be hunting online designers, I recommend you to go with Fiverr or Upwork. I am also available on both of these freelancing sites. You can also hire me to make your design here on Fiverr or here on Upwork. Now that you have done that, go ahead and create your channel on youtube. You can follow the steps instructed in the video above on this post. On the other hand, If you have multiple ideas in your mind then you might want to Create Multiple YouTube Channels. Most of the visitors ask me about how to do that with a single Google account. If you also need help, I’ve already written an article on that, you can read it here. So, that’s all for now. I’ll keep updating this post for a while, as I’m busy making more videos to embed in this post to help you better. Let me know if you still have any questions or suggestions for me. I’ll be glad to help you out. For now, you can comment & share this article with the needy ones if you want. Thanks for being here, will see you soon! Till then, stay connected! I have a youtube channel but not getting much subscribers … please share some tips to scale up the channel.